It’s just another bloody thing to feel guilty about! I work because I need to, we couldn’t find suitable at home care (despite investigating an au pair, or a nanny) so our baby is in daycare. And being in daycare she gets lots of amazing and new experiences that she can’t get at home, but she’s also exposed to a tonne of germs. On the daily. So we’re currently dealing with a baby who is miserable, sleeping badly, and causing the whole household to be having a hard time. Now that we’re all living the hard knock life, I have an even stronger than normal, pang of mama guilt. In my twisted little mama guilt mind, her being sick is caused by my working, and that kills me. There’s more too. Being at daycare she has shorter sleeps, she doesn’t eat too much, and she misses us. When we pick her up she goes out of her mind until we pick her up for a cuddle. Then she spends the whole evening asking for cadoos (cuddles), kisses, ‘nuggles (snuggles) and to be picked up. She’s grumpy from being overtired so eats terribly at dinner, she’s won’t let me cook dinner without a tantrum and I spend most of the night giving her lots of love and reassurance. Don’t get me wrong, I know her needs are valid and I’m happy to give her all that love (hell, I even enjoy all that bubba-mama time) but I’m sad that she’s obviously needing a big top up of mum each and every day. When baby’s not happy, mama’s not happy, and therefore daddy’s not happy either. All in all I’m just trying to be good mum, but working all day, and only having a couple hours with your baby who needs you more than you can give, is HARD, and I know I’m not the only one. 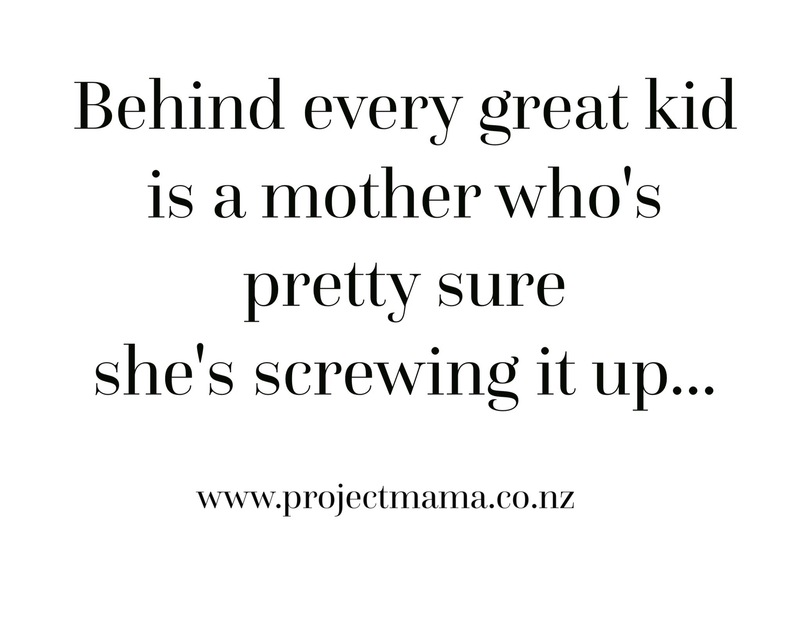 At the end of the day, all mums know for a fact that no one can replace us, so when we have to leave our kids with someone else, it’s like giving them a not-quite-100%- right mum replacement. The mum gods know that when you become a mother, you give up selfishness, and trade it in for selflessness, but no one really warns you about the daily pang of guilt you’ll have to deal with, and how it drags you down. In my heart of hearts I know I’m not a bad mum, but that little negative voice in the back of my mind tells me I could be a better one. We all could be! But if I was giving advice to a friend I’d tell her that doing our best is ok. It is! It’s all we’d expect from our kids, it’s what we expect from others so let’s give ourselves a freakin break. We deserve it. And so do our kids. What are your tips to combat mama guilt? Oh, I love this quote from your post: “You give up selfishness, and trade it in for selflessness..” Awesome! I know exactly how you feel. I work full time as does my husband, so our daughter is in daycare as well. We recently had a horrible experience at an at home facility that we thought we could trust since she had been there since birth, but we found the cleanliness to be too lackluster and wondered if that was part of the reason why she was always sick. Alas, new daycare, and she is still persistently sick, so even though the move was necessary, we know her immune system is just building up. Our kids will never miss school which is where it will count in the future is what I keep telling myself. Right there with you, momma!